A four-season family resort on the shores of Georgian Bay at the foot of Blue Mountain, roughly an hour's drive north of Toronto. 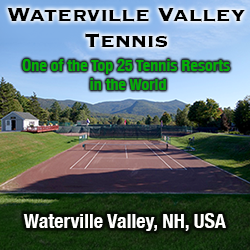 It has 72 holes of golf, 8 tennis courts, several swimming pools, a spa, a fitness center, and riding stables. Lodging consists of 80 hotel rooms and 40 two-bedroom condos.